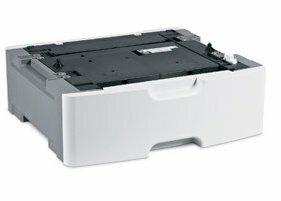 Looking for ST9612 MICR Printer Parts? Introducing the new ST9612, a network-ready, affordable, space-saving, quiet, monochrome laser printer with duplex standard. The Source Technologies ST9612 network-ready, space-saving, monochrome laser printer includes duplex printing standard and a single-sheet priority feeder. The ST9612 includes a powerful 400 MHz processor and 32MB of standard memory, providing high-quality printing at a speed of up to 35 ppm on letter-size paper. The ST9612 includes a fuser that warms up instantly and time to first page as fast as 6.5 seconds increasing efficiency. The front-loading supplies and the addition of an optional paper drawer increase the ease-of-use. The ST9612 is a versatile printer supporting various media types and sizes. The easy-to-use ST9612 is an excellent printing solution for price-sensitive companies and individuals! Duty Cycle Up to 50,000 pgs/mo.